Perhaps the biggest chef names associated with Louisiana are Emeril Lagasse and Paul Prudhomme. The two of them they have made famous the flavors of Cajun and Creole cuisine. There is a diverse food culture in Louisiana; influenced by cooking styles from around the world. For chefs to be, this is good news since it points to a host of educational opportunities within the Culinary Arts. The state harbors some of the most distinct pockets of cultural cuisine in the U.S. French, Spanish, Native American, and African components are mixed liberally to create Creole food. Spices and adventurous combinations of ingredients set the food apart from its regional cousin Cajun cuisine. 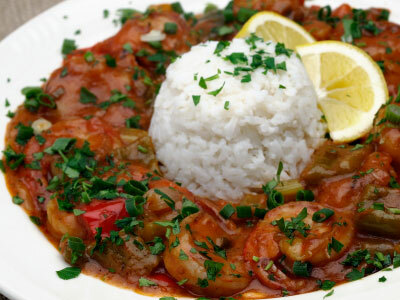 Cajun food is heavily influenced by French traditions from a specific region of that country. So unique are the cooking practices of the region, that an opportunity to study amongst these traditions is a tremendous career booster for emerging chefs. And your culinary education must include a foray into the distinctive character of the local food scene. 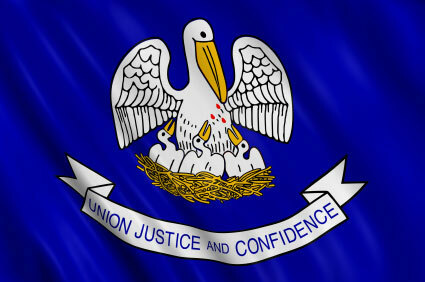 Louisiana is an important state on the food production landscape. Soy, sugar, poultry, and dairy industries thrive, but are nonetheless overshadowed by the state's most highly coveted chef’s commodity: Seafood. Skilled Louisiana chefs manipulate the ocean’s bounty in traditional and progressive ways. Your homework assignment is to dissect local menus and gain an understanding of local trends. Identify regional ingredients and how chefs are using them. Lagasse and Prudhomme may have shined a light on one of the most unique culinary treasures in the country, but as a student chef you owe it to yourself to immerse yourself in the local food scene. Haute cuisine and down-home cooking have a place in your culinary point of view, so savor every opportunity to experience genuine regional fare, no matter how downscale. World Championship Crawfish Etouffee Cook-off – Eunice – Of all the critters pulled from the water, the crawfish holds a special place for Louisianans. 100+ teams compete for bragging rights at this annual festival celebrating the distinctly New Orleans dish-Ettouffee . Smothered Crawfish over rice is the order of the day in professional categories and an amateur class that is perfect for chef students. New Orleans Wine and Food Experience – Twenty-year festival that celebrates barbecue and other southern specialties, to raise money for charity. Local chefs are under the spotlight putting their best bites forward for hungry food lovers. Don’t overlook the value of a student membership in a professional organization or association. like the local chapter of the American Culinary Federation. Many industry groups offer scholarships and other student benefits. You’ll also have access to valuable job boards, and members-only educational events and conferences. Networking with like-minded members creates an environment for the type of culinary cross-pollination that is invaluable input for your emerging culinary point of view. Tap your association contacts for internships and employment opps. The New Orleans Culinary Institute is one of the top specialty schools in the state; or in the country for that matter. The programs are called Occupational Studies Degrees, so you know the focus here is on putting you to work in the industry. Culinary Arts and Hospitality Management are areas of study featured at the school. Real life kitchen training is the focus of the culinary track, so students hone their skills working in the kitchen of The Cellar, the schools open-to-the-public restaurant. John Folse Culinary Institute provides one of the fastest growing programs at Nicholls State University. The hands on curriculum uses an array of externship to supplement classroom learning. Small class sizes are touted alongside modest tuition costs as your means to a first-class education, imparted by acclaimed working professional chefs. Delgado Community College - New Orleans – Unique culinary opportunities exist for students in three distinct Associate’s of Applied Science tracks: Chef Apprentice, Caterer, or Pastry Arts. The apprenticeship program requires over 4000 hours of work-study under a certified chef, and 900 hours of classroom study. The caterer track also sets the school apart for specializing in this growing food service sector.